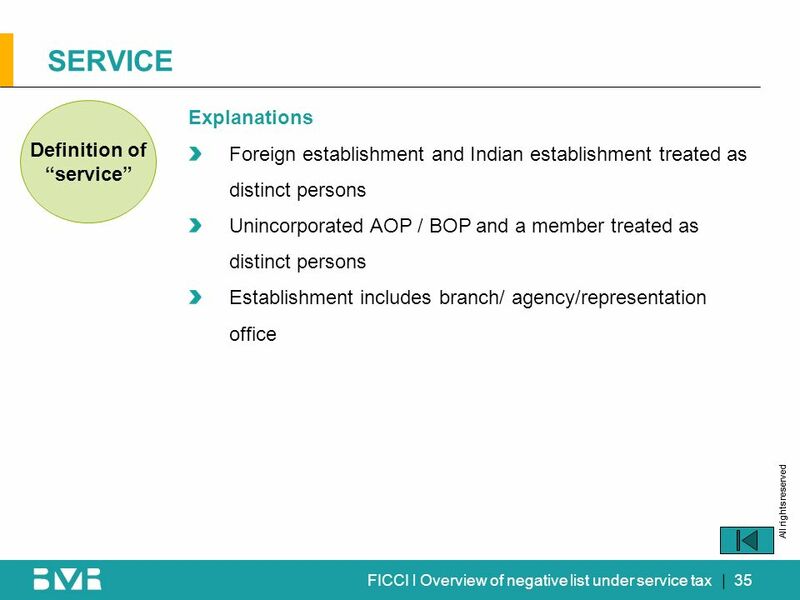 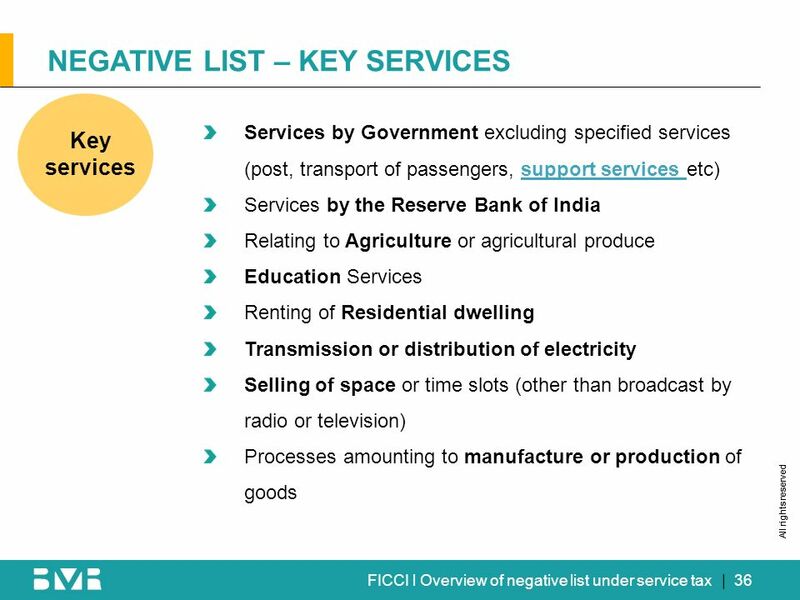 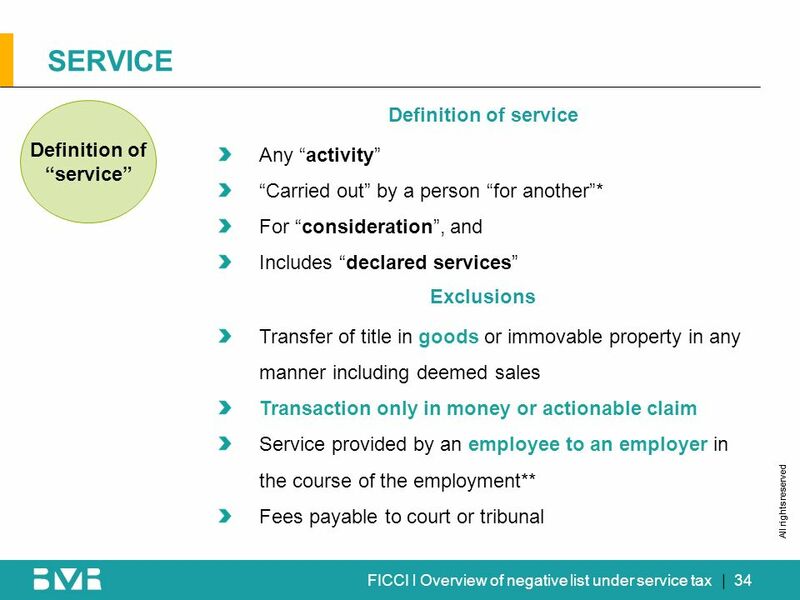 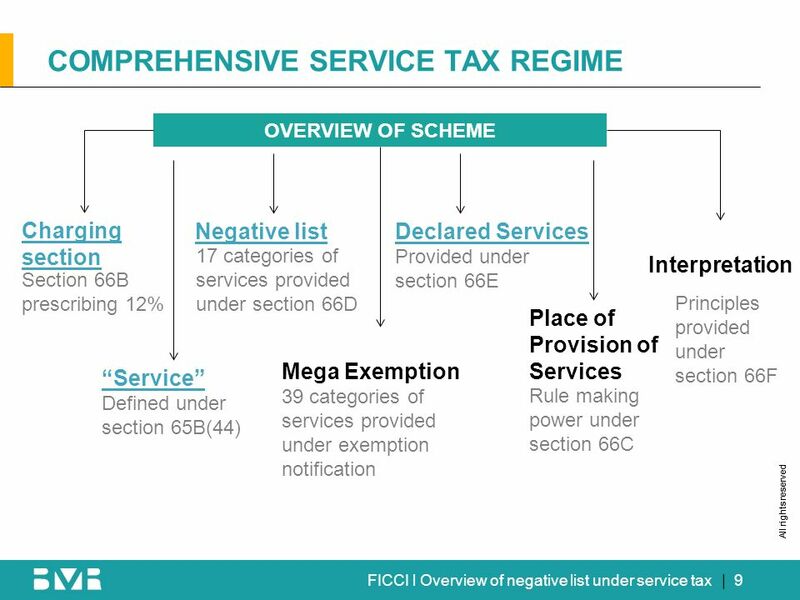 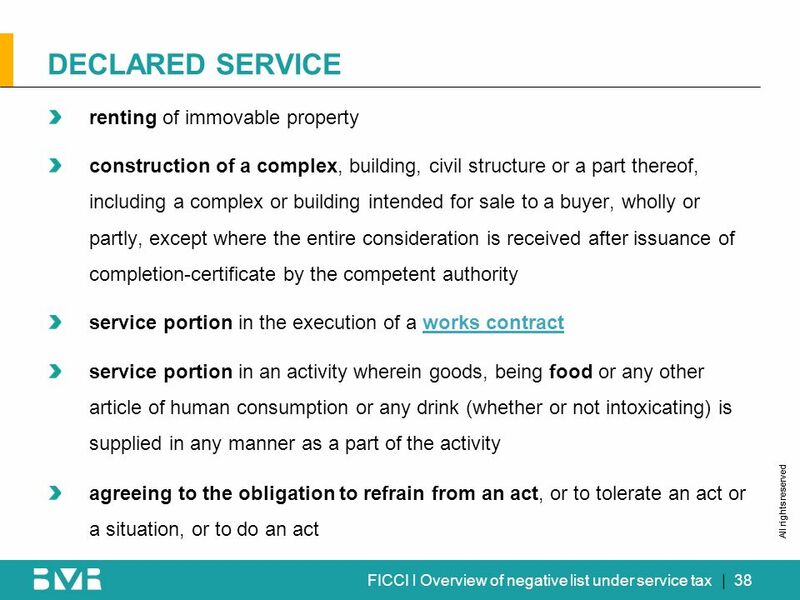 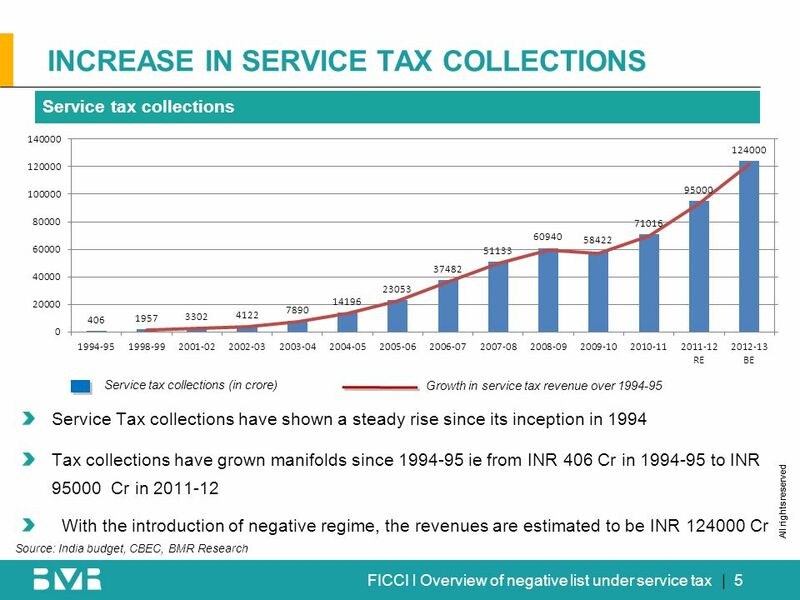 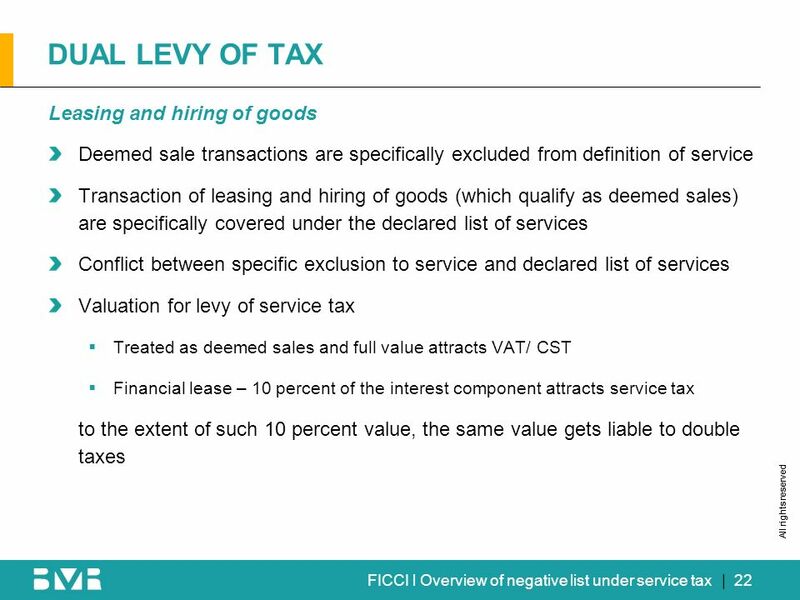 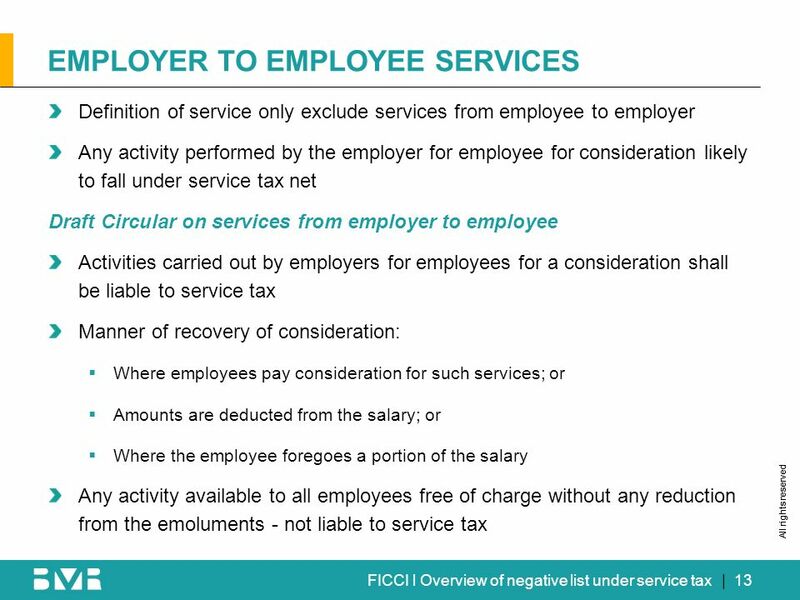 14 All rights reserved FICCI l Overview of negative list under service tax EMPLOYER TO EMPLOYEE SERVICES Draft Circular on services from employer to employee Taxability needs to be examined in light of negative list and exempt list of services Credit eligibility of services provided to employees Cenvat credit on ineligible input services like rent-a-cab services In case of partial recovery from employee Valuation of service – restricted to extent of recovery or entire cost of facility? 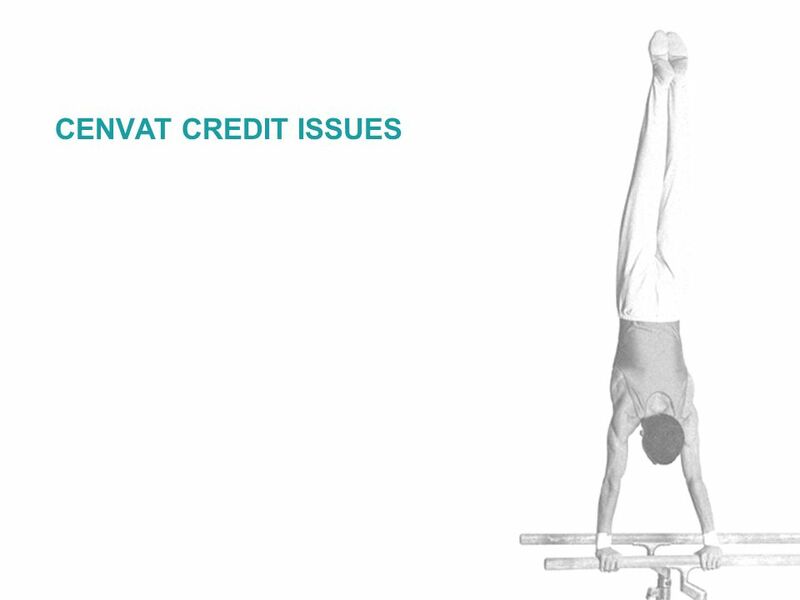 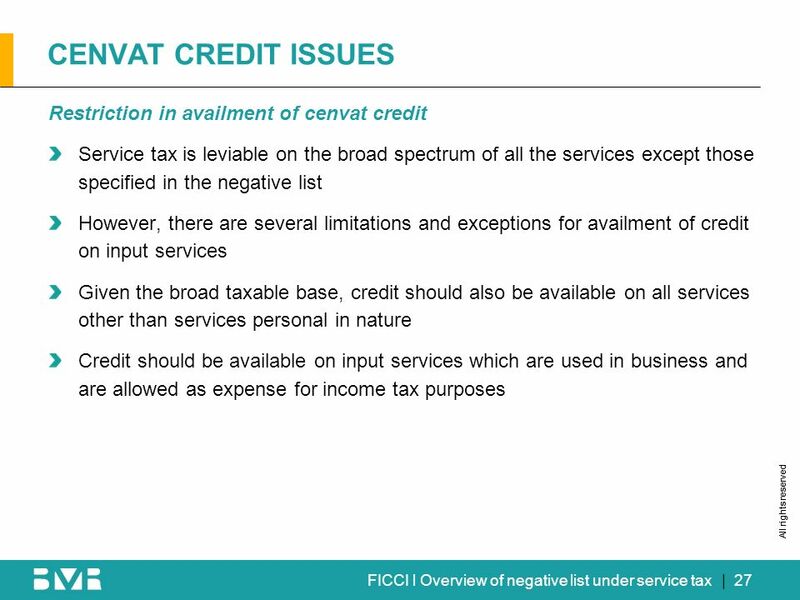 Cenvat credit availment only proportion to recovery ? 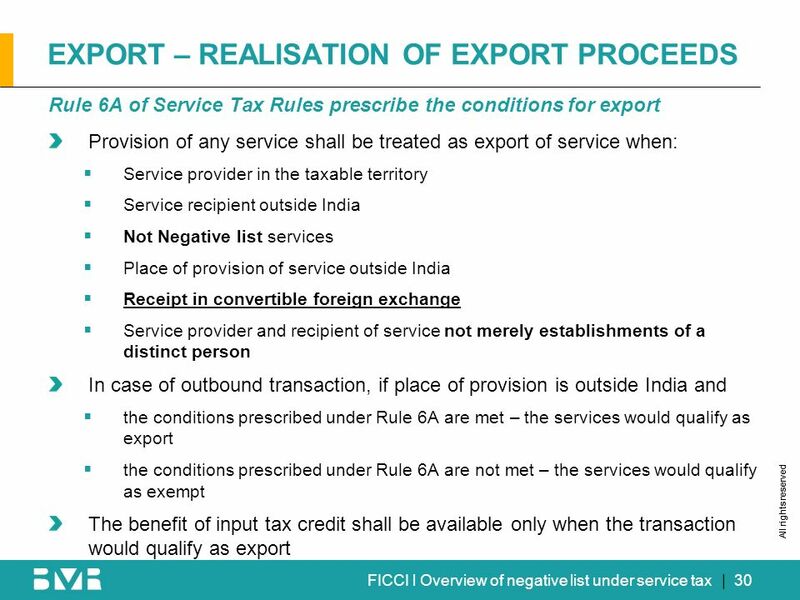 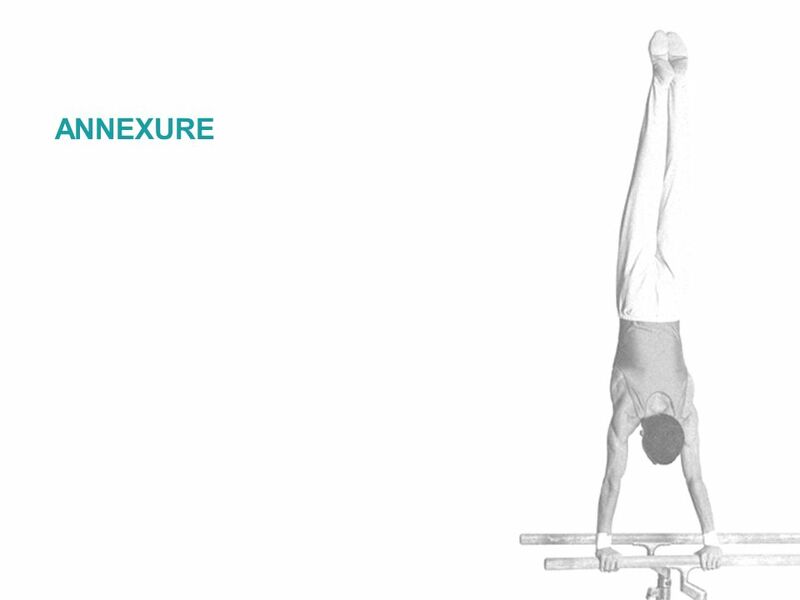 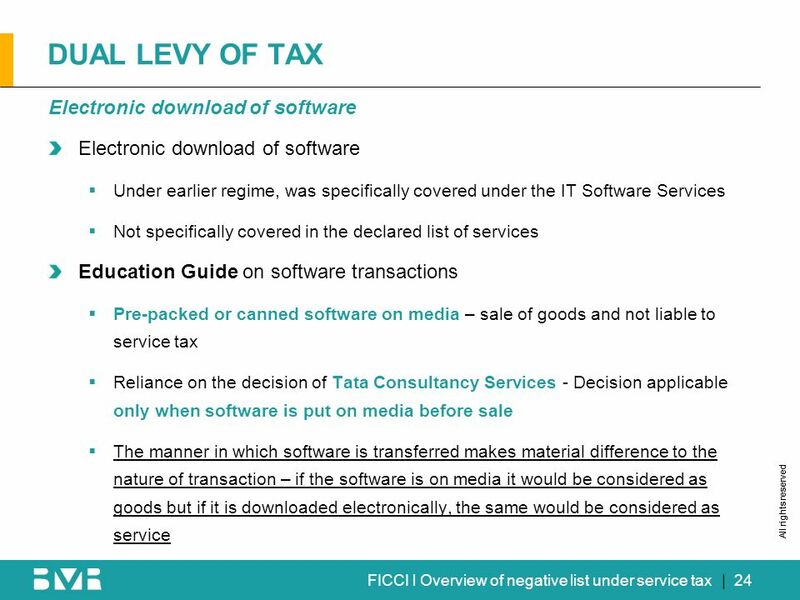 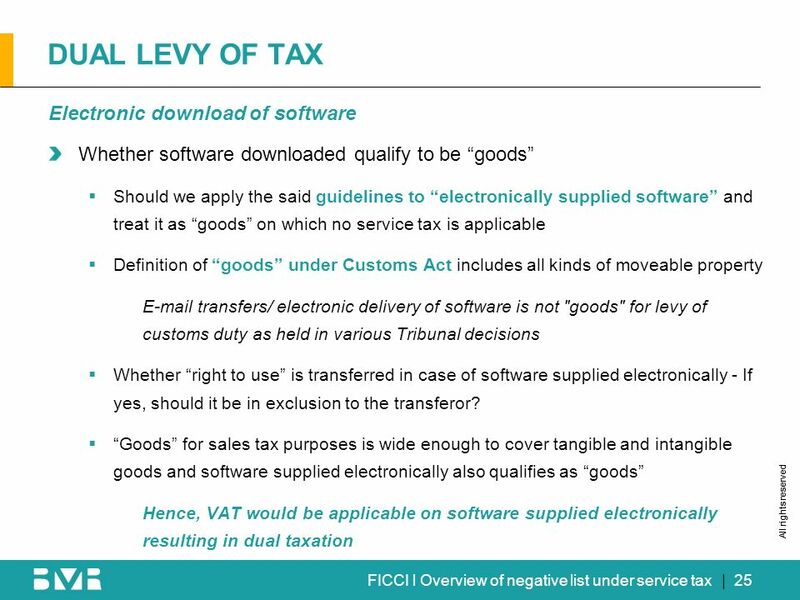 Non taxable entities – brought under service tax only for such transactions – separate books to be maintained under Rule 6? 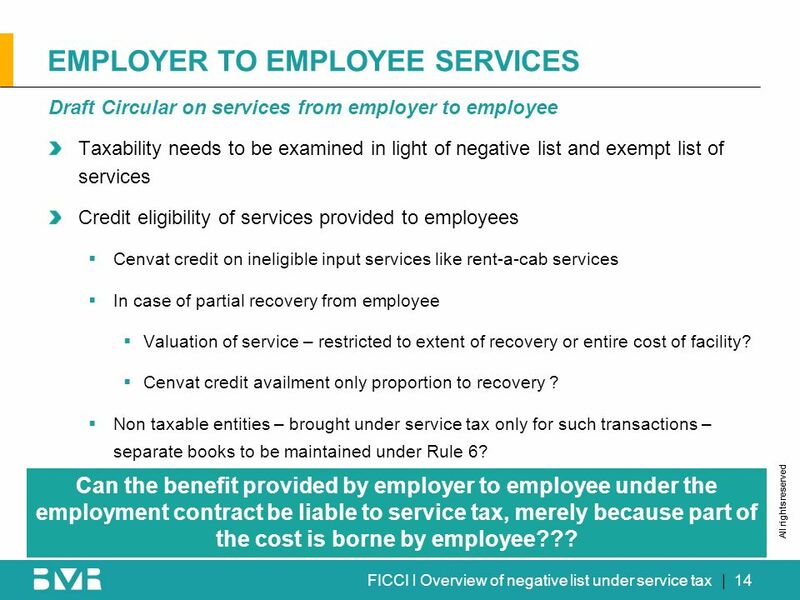 | 14 Can the benefit provided by employer to employee under the employment contract be liable to service tax, merely because part of the cost is borne by employee??? 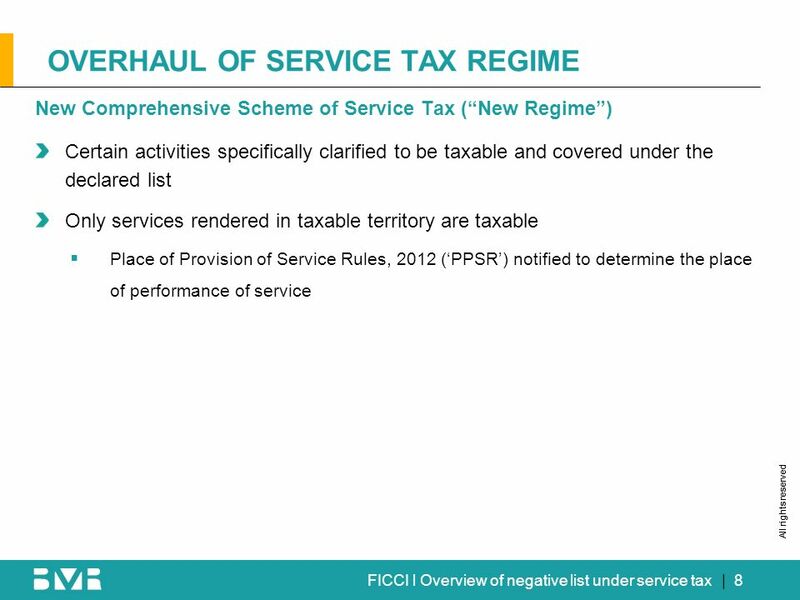 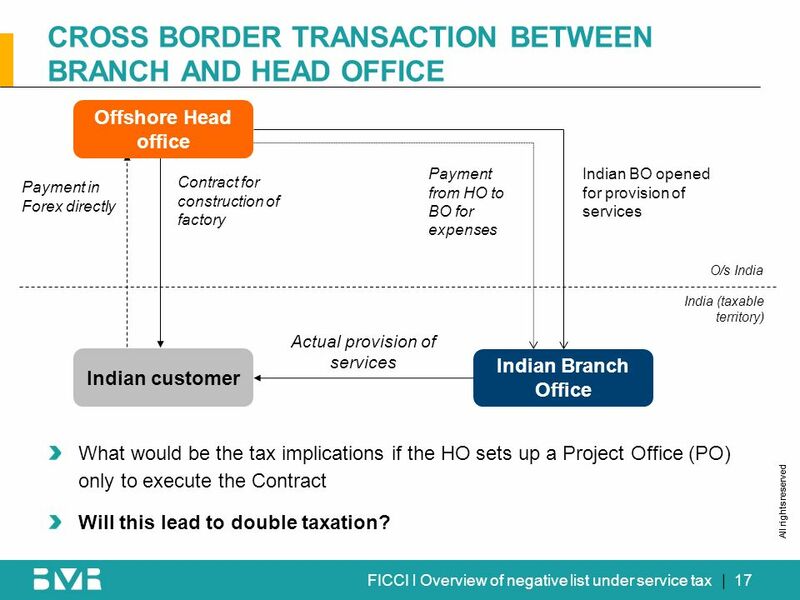 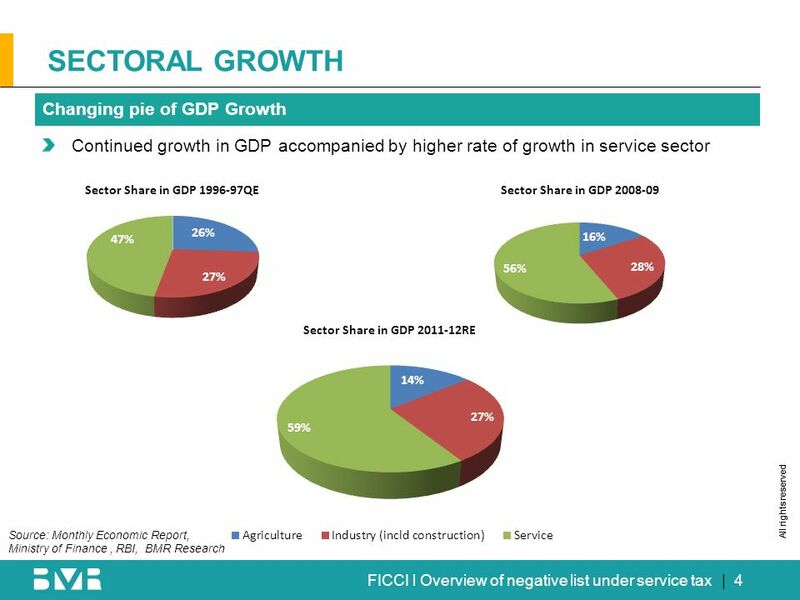 17 All rights reserved FICCI l Overview of negative list under service tax CROSS BORDER TRANSACTION BETWEEN BRANCH AND HEAD OFFICE | 17 Payment in Forex directly Indian Branch Office Indian customer Contract for construction of factory Actual provision of services Indian BO opened for provision of services Payment from HO to BO for expenses Offshore Head office O/s India India (taxable territory) What would be the tax implications if the HO sets up a Project Office (PO) only to execute the Contract Will this lead to double taxation? 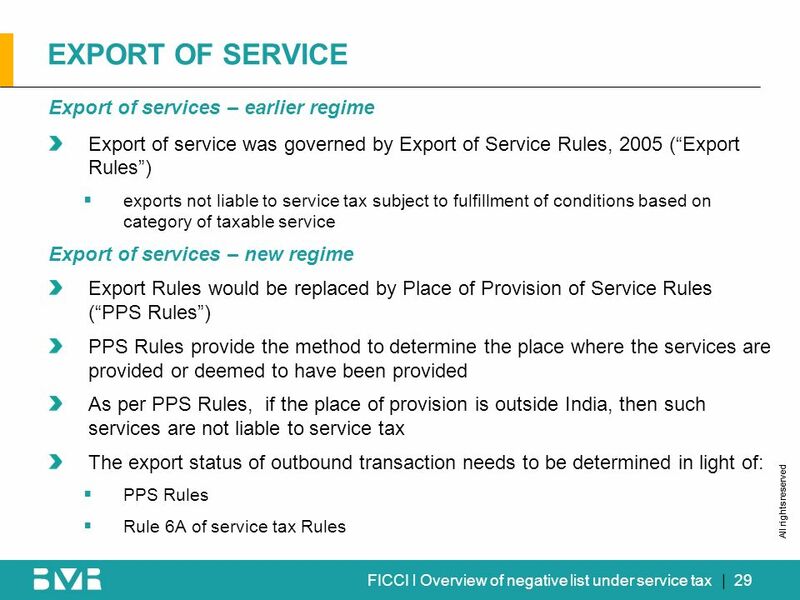 Download ppt "All rights reserved All rights reserved | Preliminary & Tentative Point of Taxation Rules, 2011| 1 C h a l l e n g e U s."
2010 © Neeraj Bhagat & Co1 TAXATION IN INDIA. 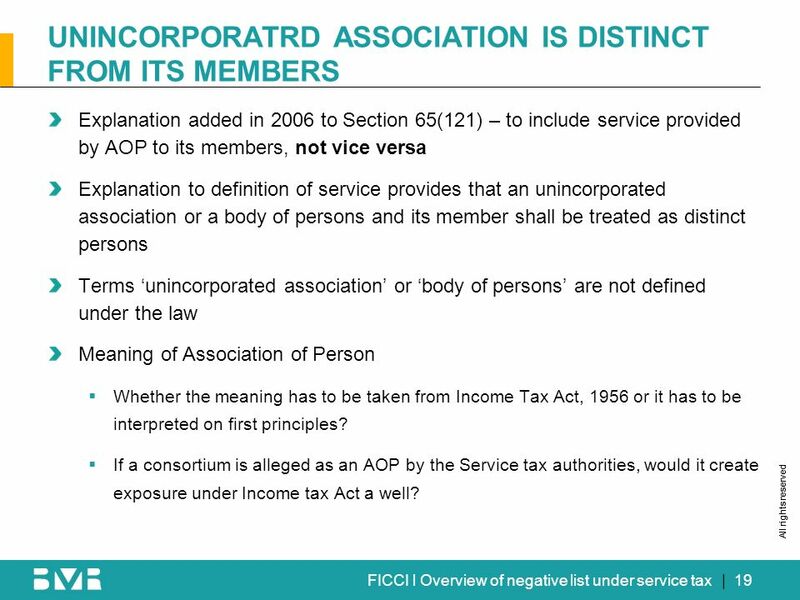 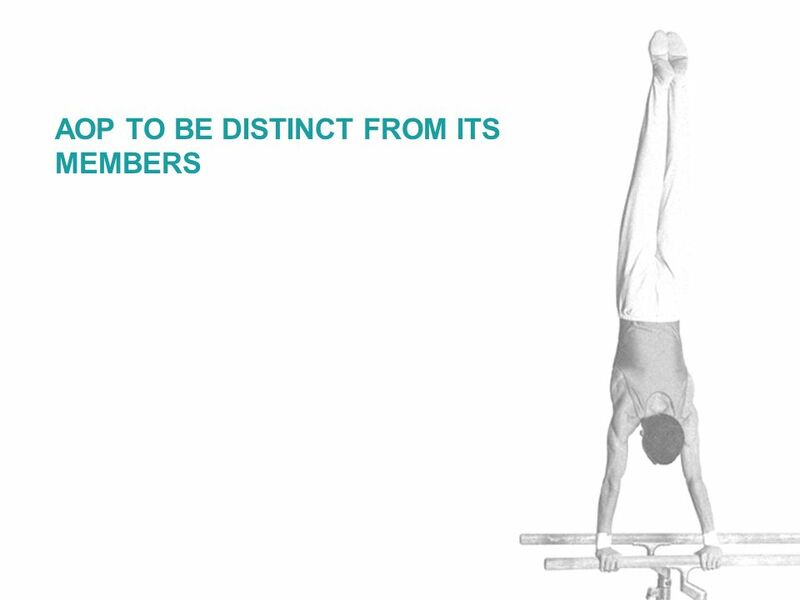 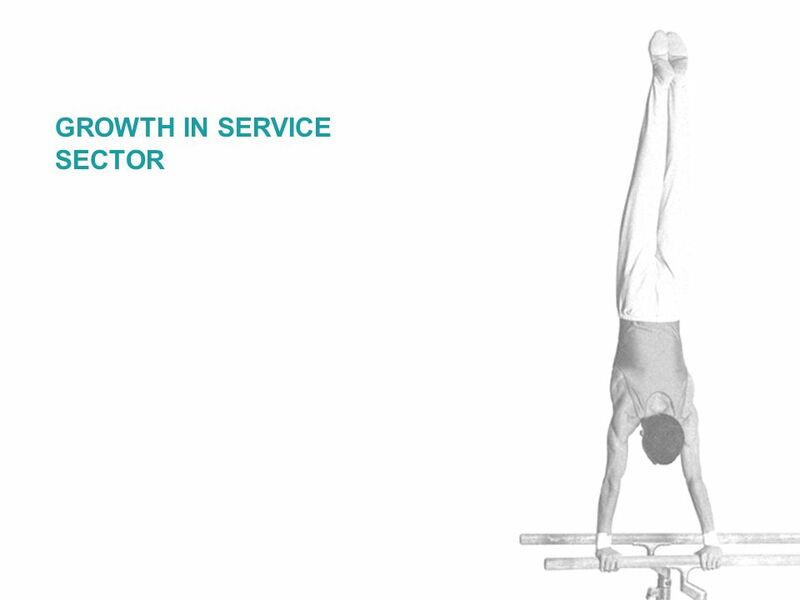 2 INDEX 1- Overview 2- Corporate Tax Rates 3- Distribution of Profits 4- Tax Planning Through DTAA 5- Permanent. 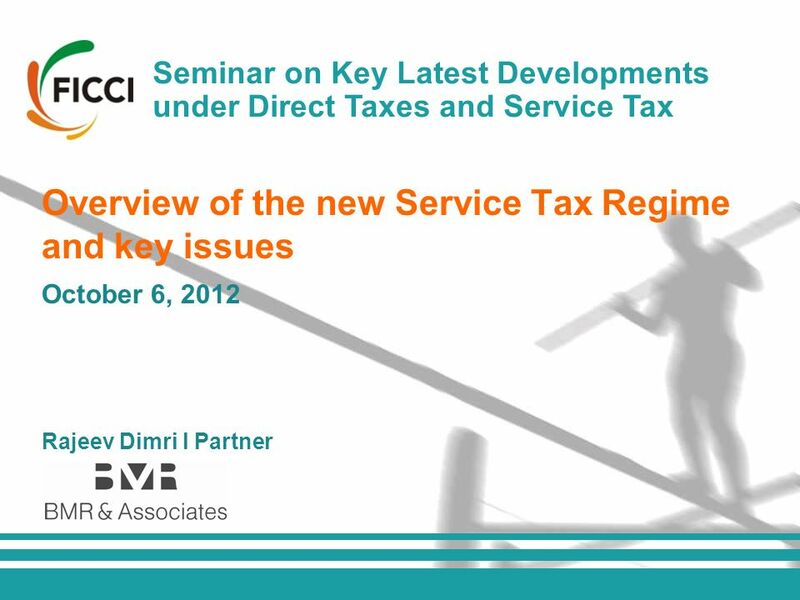 Belize General Sales Tax (GST): Presentation on GST Legislation. 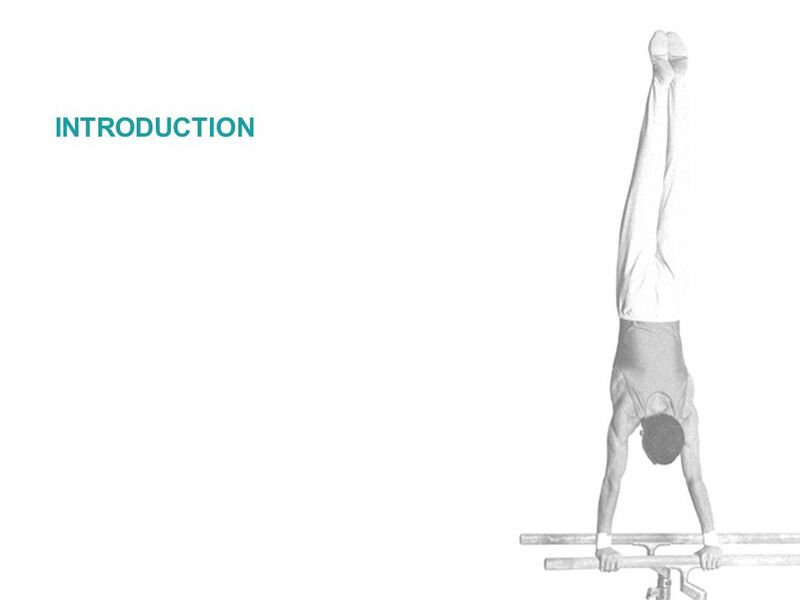 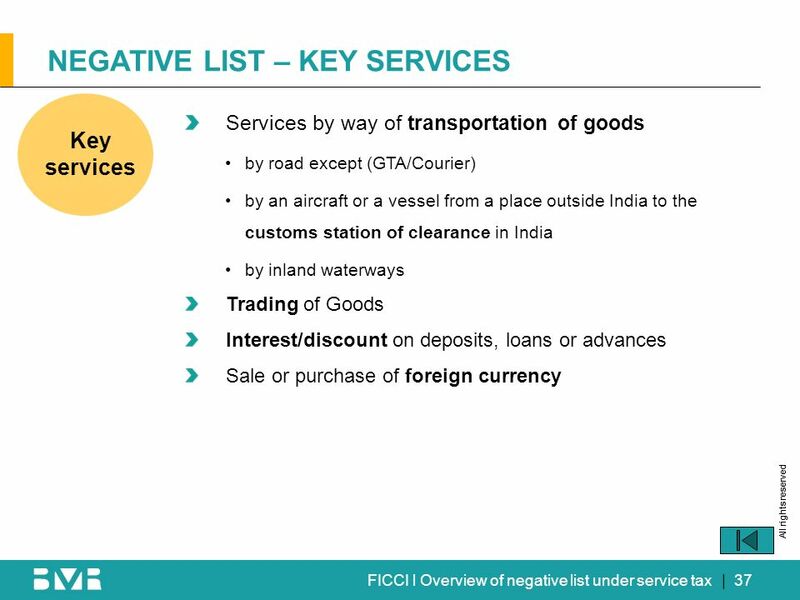 SUPPLY OF GOODS USING THE METHODOLOGY. 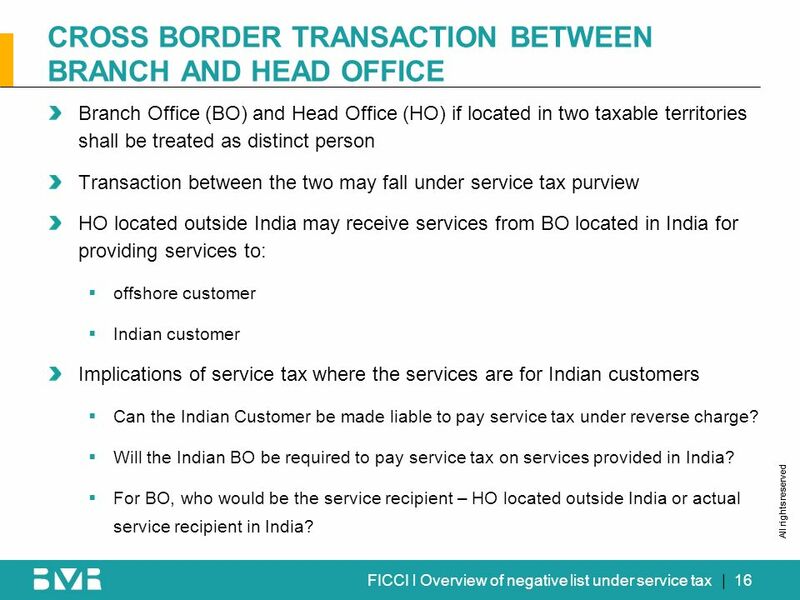 2 FIRST QUESTION. 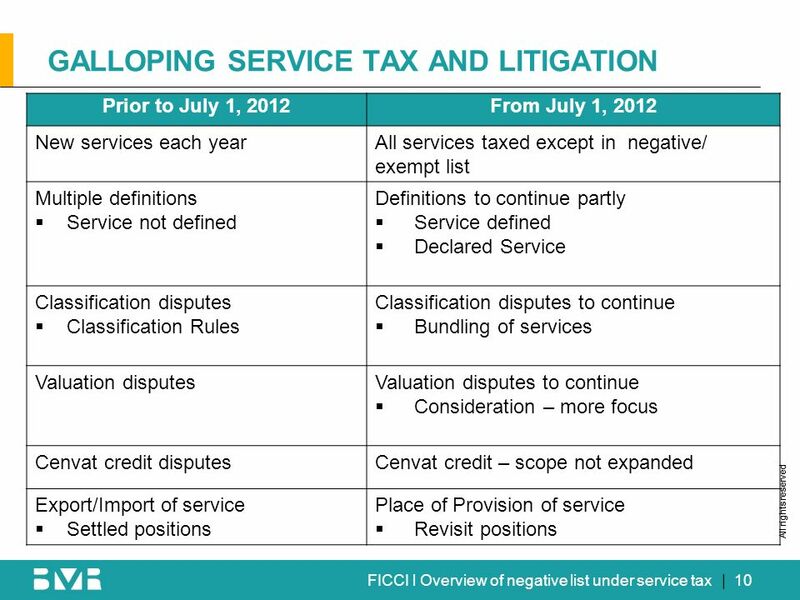 Copyright © 2008, The McGraw-Hill Companies, Inc.McGraw-Hill/Irwin Chapter Fifteen “How Well Am I Doing?” Statement of Cash Flows. 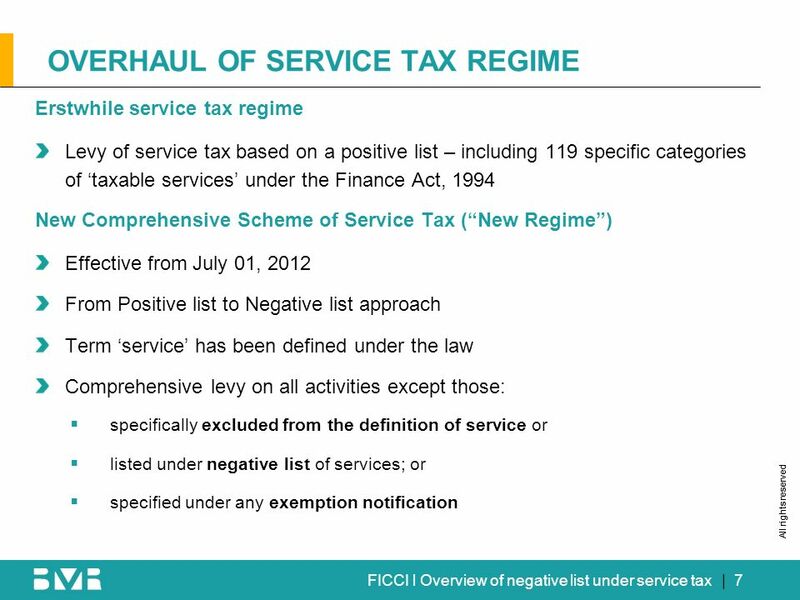 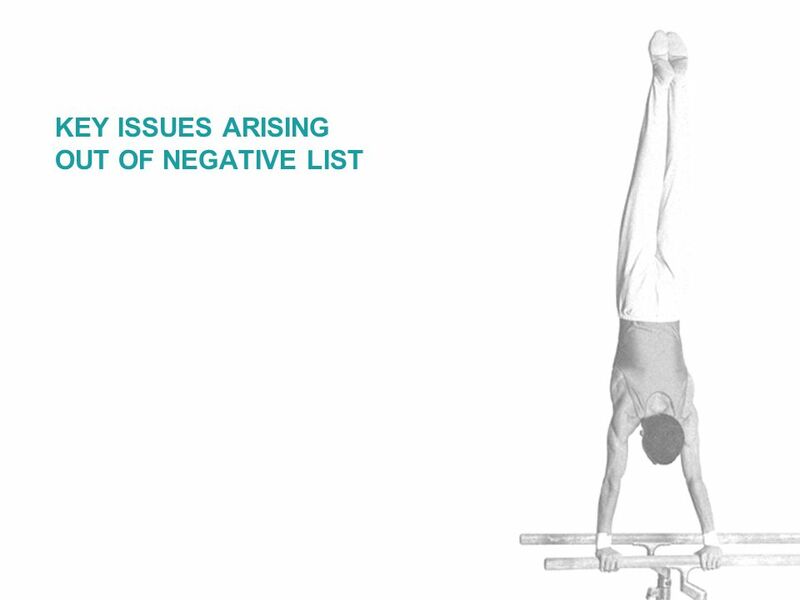 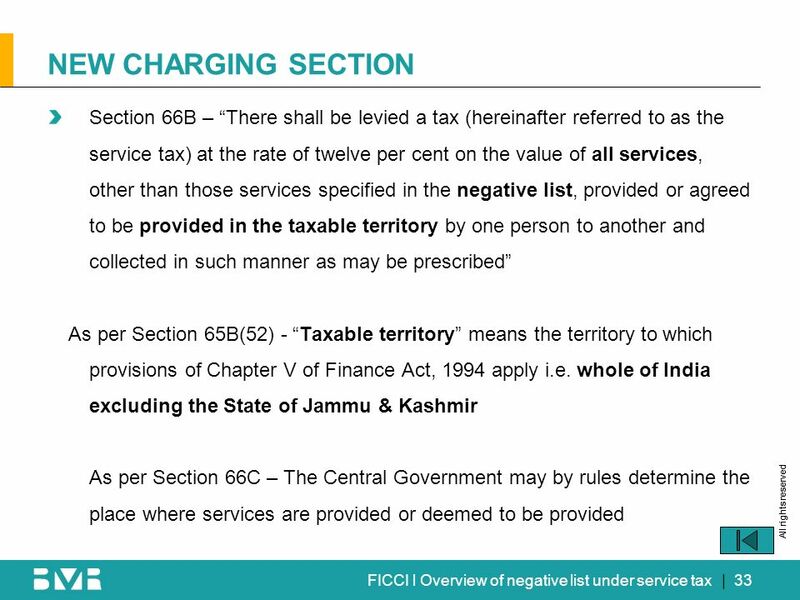 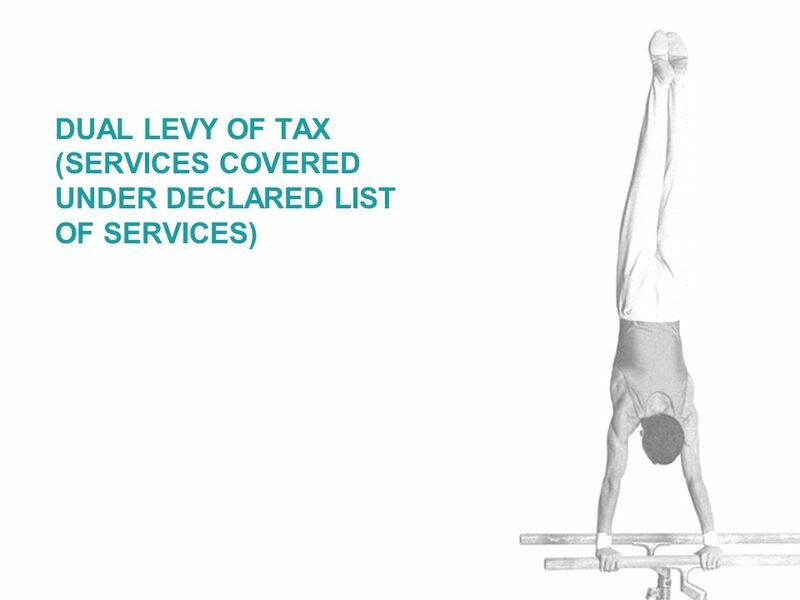 Indian Merchant’s Chambers Negative List Based Taxation of Services (Declared List ) 19 October 2012. 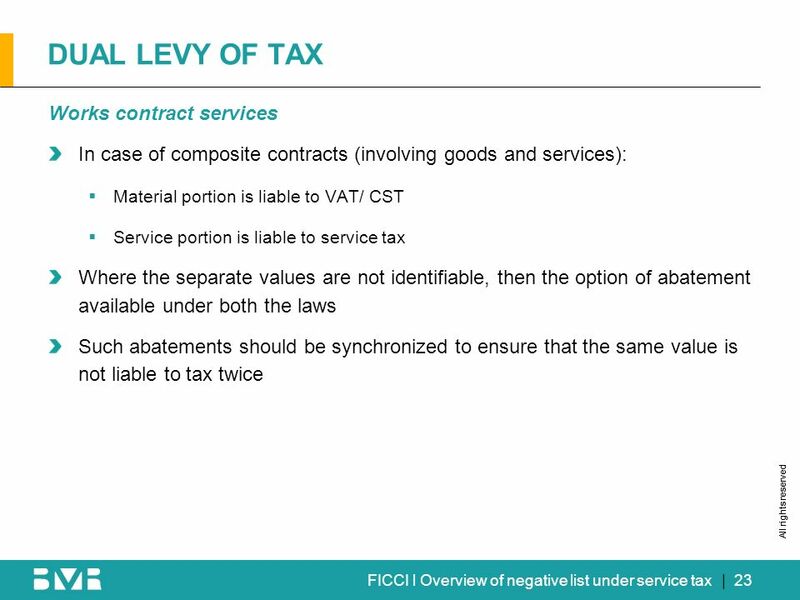 IAS 7: Cash Flow Statements. 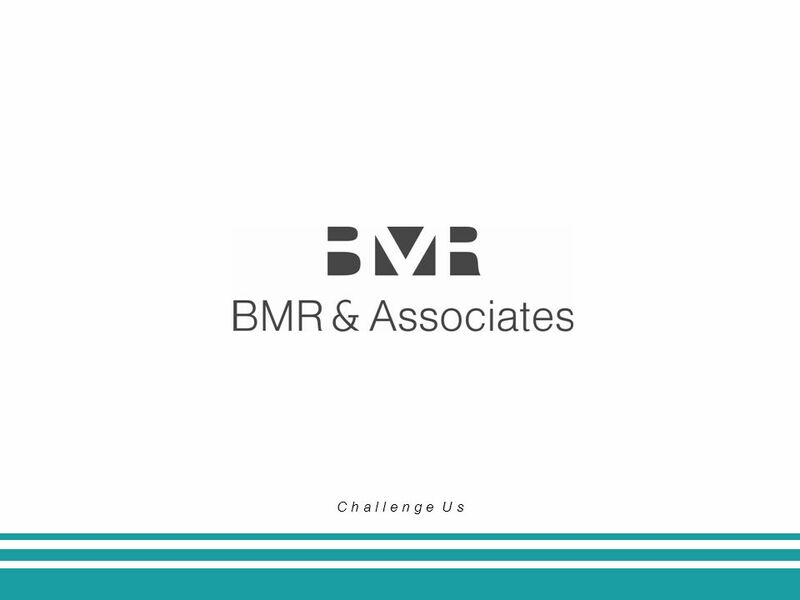 Agenda 1.Objective and Scope 2.Definitions 3.Direct and Indirect method 4.Operating activities, Investing activities, Financing.